CHAMPIONS: Heather Richards and Carol Schmidt claimed the women’s championship pairs title for the Port MacDonnell Bowling Club last Sunday. 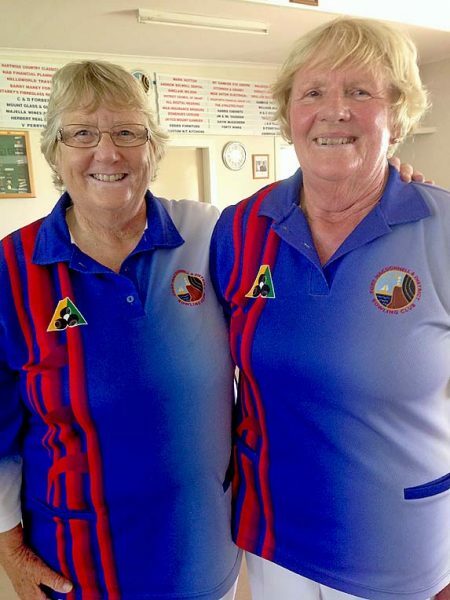 CAROL Schmidt and Heather Richards have claimed back-to-back women’s championship pairs titles at the Port MacDonnell Bowling Club. Playing Lyn Vanderley and Elaine Pruis in the final, the duo was able to win by a narrow margin of five shots. A total of eight teams entered the championship played on Sunday and the first round saw Schmidt and Richards account for mother-daughter combination Karen Peterson and Robyn Burley.